Narrating a Timeless Story of Superior Craftsmanship. JS is a Jewellery exhibition in Saudi Arabia that aims to reinvent the landscape of KSA’s jewellery industry by uniting reputed international and local designers on a single platform. The event aims to showcase the luxurious and well-crafted ornaments to an exclusive clientele which represents high-profile personalities and royalty. As the most exclusive jewellery exhibition in the Middle East and North Africa, JS is a decade in the making and has a one of a kind story that exudes a timeless charm and an aura of magnificence which is unlike any other. The Exhibition this year will be held in Saudi Arabia’s most Extravagant Hotels. The first edition of JS will be held at the Jeddah Hilton Hotel from 8th to the 11th of April 2019. The Second Edition will be held in Riyadh’s Fasaliyah Hotel from the 13th to the 18th of April 2019. This year we will be focusing on empowering Saudi women in line with his royal highness Mohammad Bin Salman Al Saud’s vision to empower women and Saudi youth. Hence, we have decided to tell the story of 10 of the most influential Saudi women to celebrate the 10th year inauguration of the Jewellery Saloon. Moreover, due to its huge success over the past decade this exhibition will crown the 10th winner of infamous Saudi Jewelers design competition with special guest judges. In alignment with Haya Al Sunaidi’s dream of promoting the participation of Saudi women in business all around the kingdom, the latest editions of the exhibition contributed to the blueprint of Vision 2030 put down by his Royal Highness and Crown Prince Mohammad Bin Salman bin Abdelaziz al Saud by highlighting the talents of Saudi female designers. The convention also featured seminars by HRD Antwerp to educate consumers about the authenticity of the diamonds they buy. Saudi Arabia has the highest concentration of wealthy families in the MENA region, the Jewellery Salon acts as a gateway for foreign brands to gain the attention of an exclusive Saudi clientele. Local media named the convention ‘The Most Prestigious Jewellery Exhibition’ in the country. Every Year The exhibition receives an overwhelmingly positive feedback from exhibitors who appreciated the Arabian hospitality of the Locals and the unmatched potential that Saudi Arabia holds. 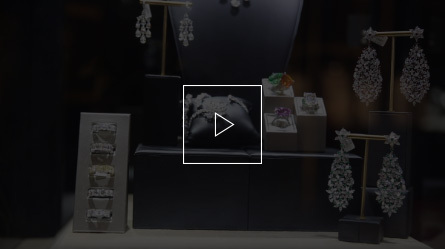 The Jewellery Salon 2019 Promo Video. 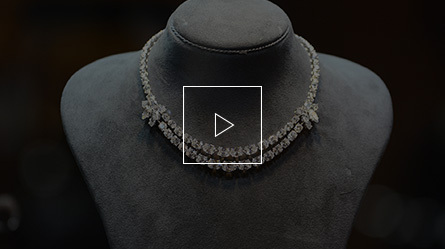 The Jewellery Salon E-catalouge, contains all the information for JS 2019 visitors. List of exhibitors, exhibitor profiles, exhibitor locations, exhibitor informations, exhibition floorpans for jeddah and riyadh, whats new this year, information about Jewellery Salon, information about the organizer, media partners, sponsors etc.